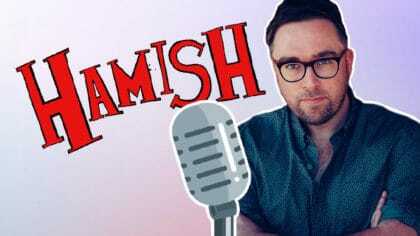 Danny Wallace chats about his brand new Christmas book, Hamish and the Terrible Terrible Christmas! Danny Wallace popped into the Fun Kids studio on Thursday to chat to Bex all about his brand new Christmas book, Hamish and the Terrible Terrible Christmas! Plus, Danny spilled the beans on what he’s planning next – a brand new book called Hamish and the Monster Patrol! To Hamish, the important task of saving the world doesn’t stop just because it’s Christmas! There are THREE festive adventures in the new book, featuring Hamish Ellerby and his pals in the PDF! Can Hamish stop a whole hoard of rampaging Terribles hoping to ruin Christmas?